This glass barbecue sauce bottle comes with white metal plastisol lined caps. 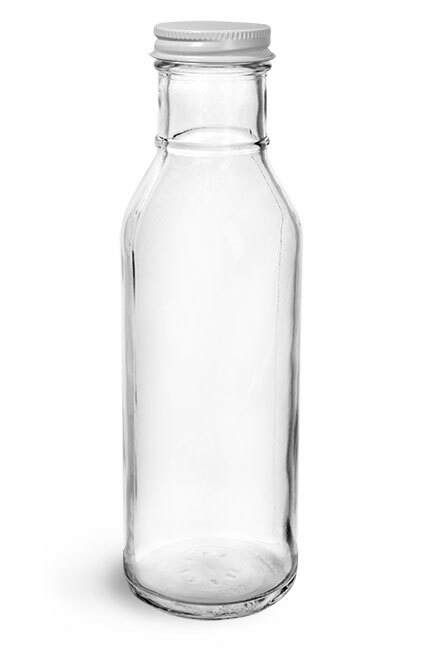 When heated the plastisol liner creates an airtight seal between the cap and the bottle. 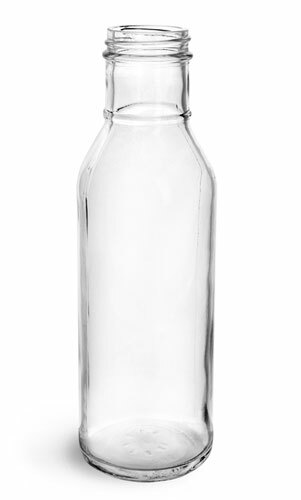 The bottle has a wider mouth, making it a great option for pouring thick products. Try packaging sauces, salad dressings or marinades safely and stylishly in this bottle.